Forever beloved. Forever in your heart. Forever close to you. That is what this beautiful rose arrangement symbolizes. A shared life. Or a shared sacred moment. All will be dignified beautifully with this loving gift of roses in a classic urn. 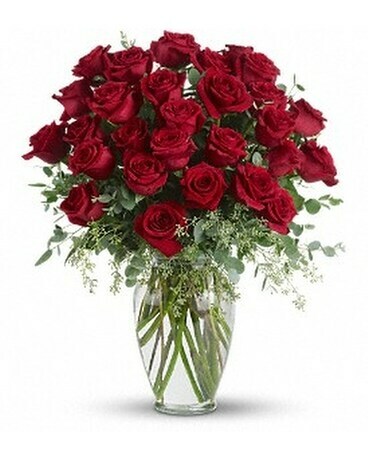 Roses, roses and more roses are arranged with beautiful eucalyptus and a lovely ming vase. Say it with flowers, when no words will speak the feelings in your heart.